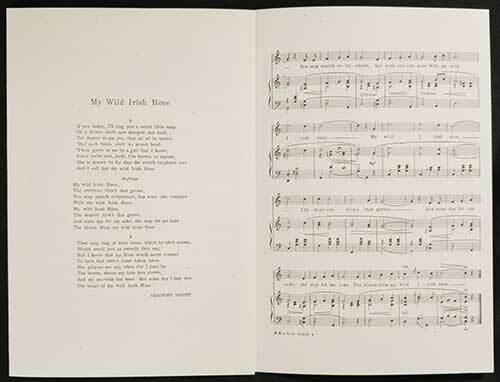 This Irish greeting card includes a fold out page with the words and musical score to My Wild Irish Rose. 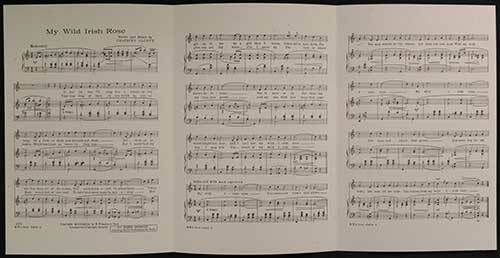 My Wild Irish Rose Irish note card features a reproduction of antique sheet music in a fold out sheet. 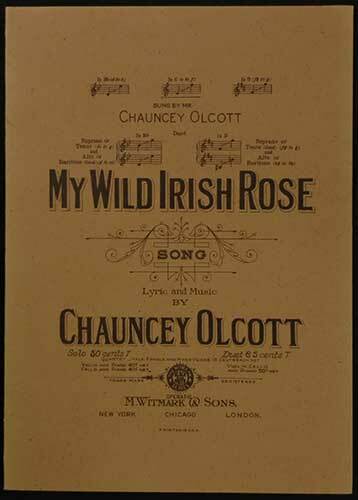 The My Wild Irish Rose Irish card is made of heavy card stock and measure 5” wide x 7” tall; an envelope is included. This Irish greeting card is blank inside for you to write your message and it is made in the United States.